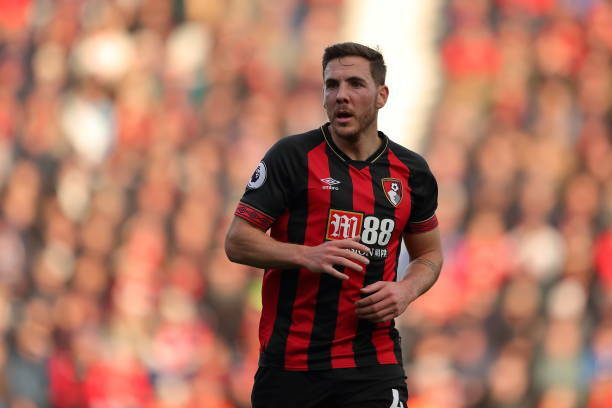 Bournemouth midfielder Dan Gosling has been sent for a scan on his knee injury. Gosling picked up the injury against Arsenal last weekend and missed Saturday’s defeat at Manchester City after pulling out of the warm-up. He will get the injury checked out by specialists and is a doubt for Tuesday’s Premier League clash with Huddersfield. “Dan Gosling is a concern for us. “We’ve sent him away for a scan on his knee so we’ll see how he is. He didn’t feel comfortable during the warm up at the weekend. “We have a couple of niggles. You’re always going to have a few niggles at this time of the season, so we’ll see how those guys are. After a brilliant start to their Premier League campaign, Bournemouth have suffered four defeat in recent weeks, Three of those have been against Manchester United, Arsenal and City, though, Howe believes his side are still playing well. A home game against Huddersfield could be a good opportunity to get things back on track. “We’re on a tough run,” he added. “The Newcastle game was a frustration for us, but in the other three games we’ve been happy with our performances. “Huddersfield have had an upturn in results and we know it’ll be tough.